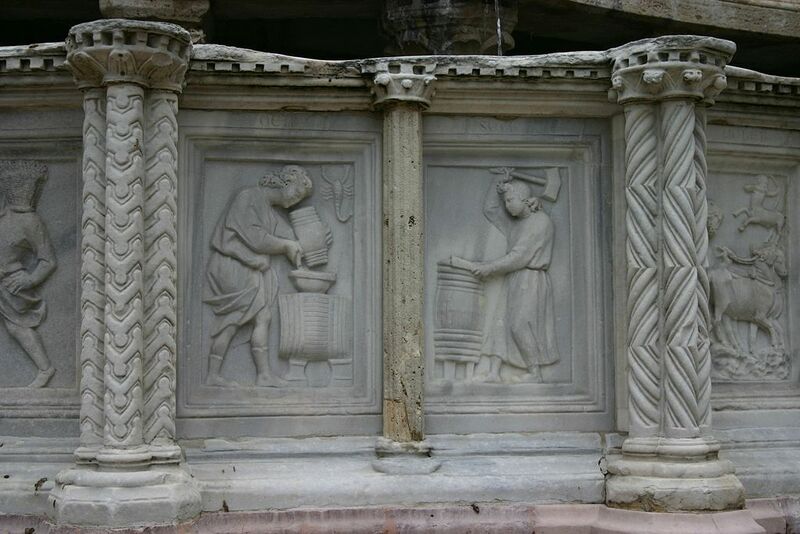 Fontana Maggiore in Perugia. Italy. 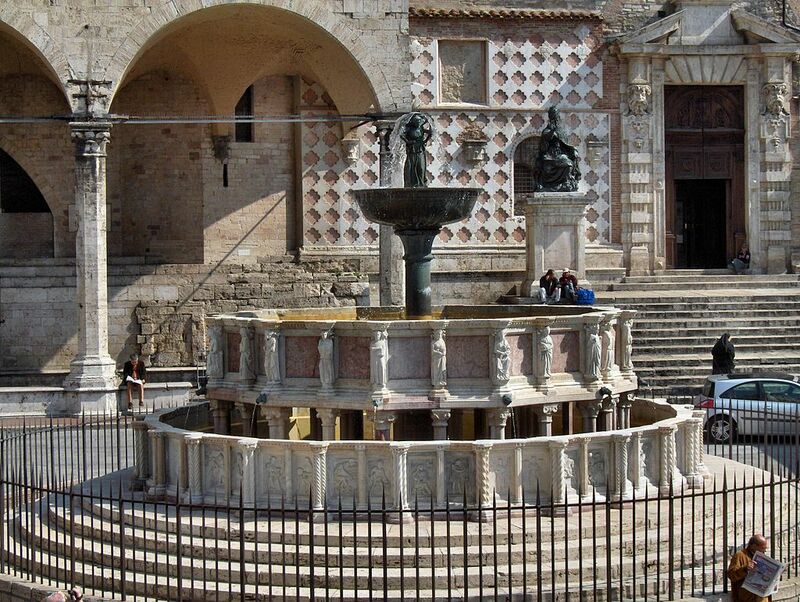 Sculpted in 1277/78 by Nicola Pisano and Giovanni Pisano Fontana Maggiore is Italy`s most famous medieval fountain. The fountain was built as the centre of several aqueducts which supplied the city with drinking water passing through lead pipes from the 3 km distant Monte Paccino. The construction was part of a program of civic improvements begun in 1278 to celebrate the autonomy of the City of Perugia. 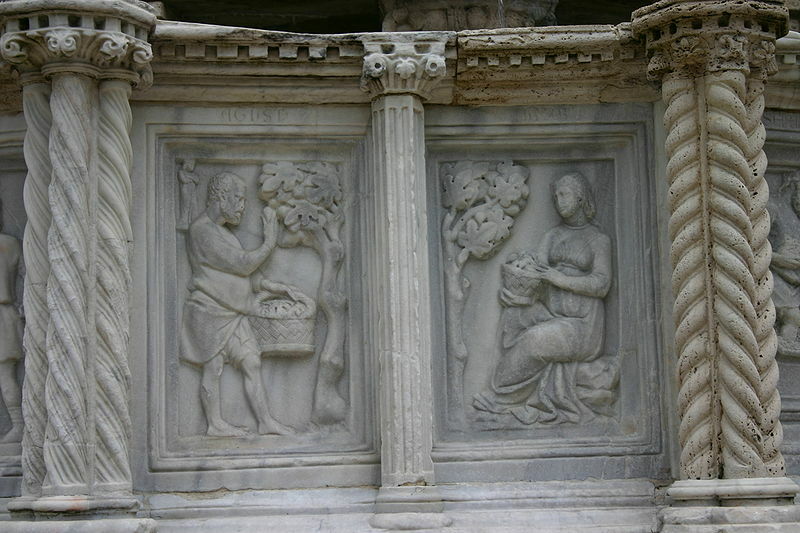 On the twenty-five sides of the basin are sculptures representing prophets and saints and frescoes depicting the labors of the 12 months each with their respective zodiac signs, scenes from Genesis and events from Roman history. Astrogeographical position for morphogenetic field level 4 which describes the atmosphere and energetical topics of the fountain itself: one coordinate is located in careful, self-protective earth sign Virgo sign of the reason health, self-cleaning, washing, strategical planning, careful use of ressources, ecology, gardening, science of agriculture, protection of plants, the harvest season, labour, cooking, householder´s duties and virginity. 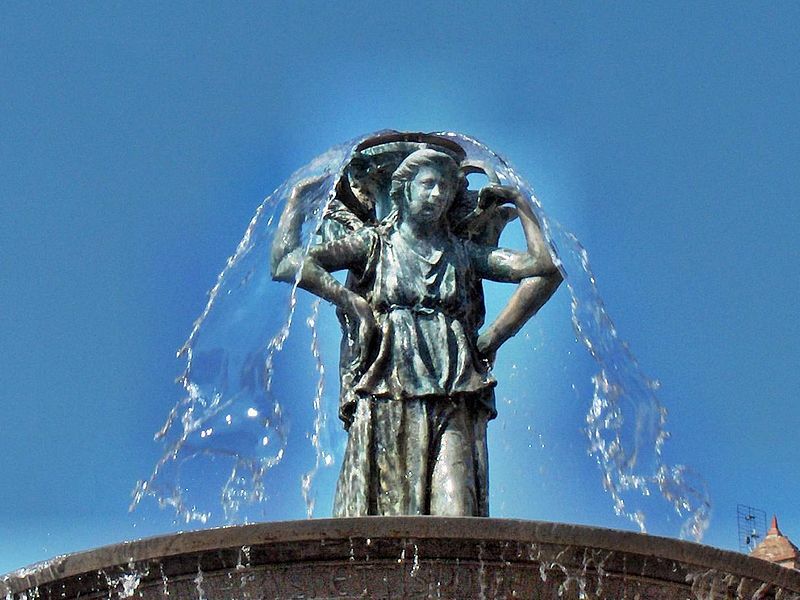 The second coordinate of the fountain is located in solid, fixed water sign Scorpio sign of sculpting, imaging, photography, copies, metal working, water containers, lead and major resonator for water pipes. Apart from its important role as the sign of the sculpting arts Scorpio also resonates with the construction work done to built aqueducts and the medieval water supply system. The basin on top of the fountain holdsthree “graces” in postures of housewifes representing the comínation of Virgo sign of labour and scorpio indicator for the limitation of the female to topics of role conduct as presented here.